National Champion Val Covalciuc presents a new concept in cruising—a bridge retreat focusing on the 2/1 system and why it has gained so much popularity in the expert bridge community. Whether you are new to the 2/1 system, or simply seeking to add more tools to enhance your game, you will find our workshops both illuminating and fun. You will also enjoy our discussion groups, where all bridge topics are up for grabs. Enjoy up to 19 games onboard. Stump the moderator and win a drink! Reservations are now open! Space is limited—book early to ensure your place. Terms and Conditions: New bookings only. Pricing above is per person. Availability and price is subject to change at any time. Offer expires when sold out. Guests who wish to purchase the cruise separately may ADD the bridge package, by paying an additional registration fee of $425pp. The registration fee is included in the pricing shown above. 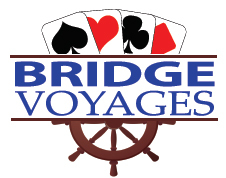 If only 1 passenger in the stateroom partipates in the Bridge program, but the 2nd does not, the 2nd passenger will receive a credit of $350 Onboard Credit. 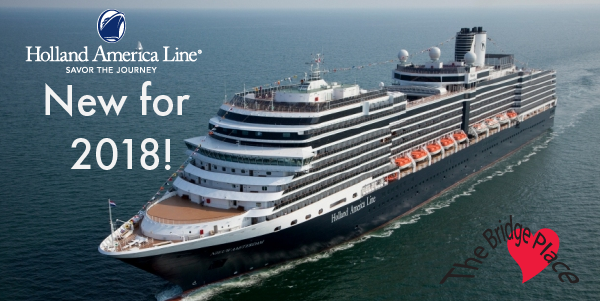 Ship taxes are $140 per person additional. Additional fees may apply; call for details. Additional terms and conditions apply; please call for details. Online Vacation Center is a registered Seller of Travel with the States of Florida (ST-32947), California (CST-2064227-40) and Washington (WA SOT 602250083).